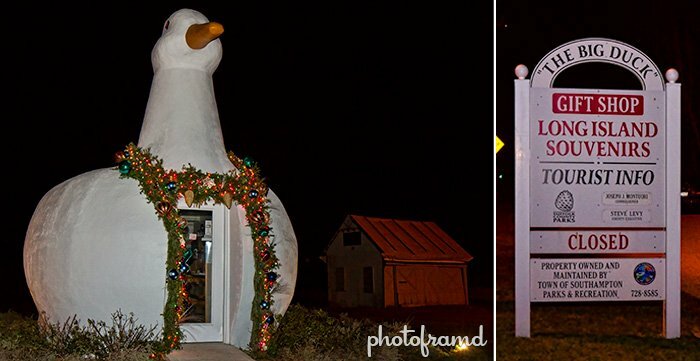 At the other end of Long Island, there is the Big Duck in Flanders. Yes, that is a large duck the size of a house. 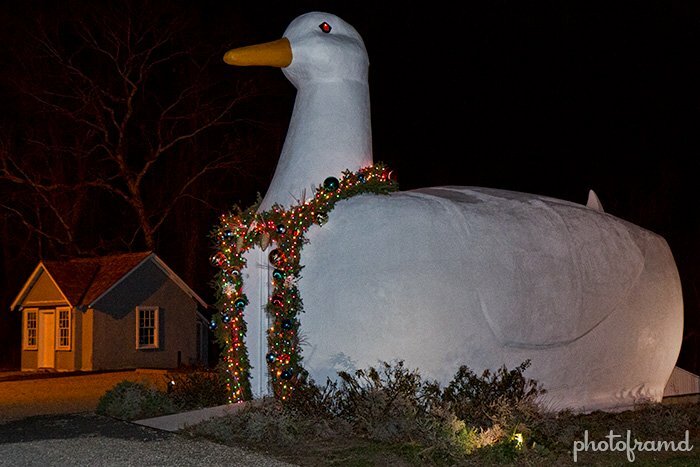 Dating back to 1931, the Big Duck was created to promote the growing duck industry on Long Island. Today, it is run as a gift shop by the Friends for Long Island Heritage. This year marks the 23rd Annual Duck Lighting for the holiday season, complete with caroling by the local Riverhead Middle School show choir. If you are planning to shop at Tanger Outlets in Riverhead, it’s only 15-minutes away. Just be sure to use a GPS to find it. Riverhead loves traffic circles; I went through three of them on the way to the Duck!